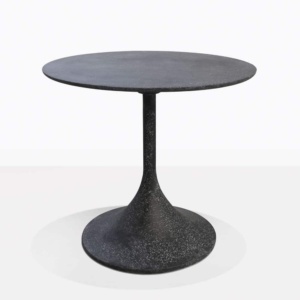 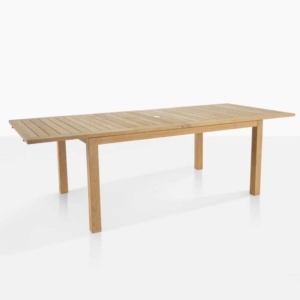 Perhaps more than any other piece of outdoor furniture, the Outdoor Dining table signifies the lifestyle that we are proud to offer furniture for. 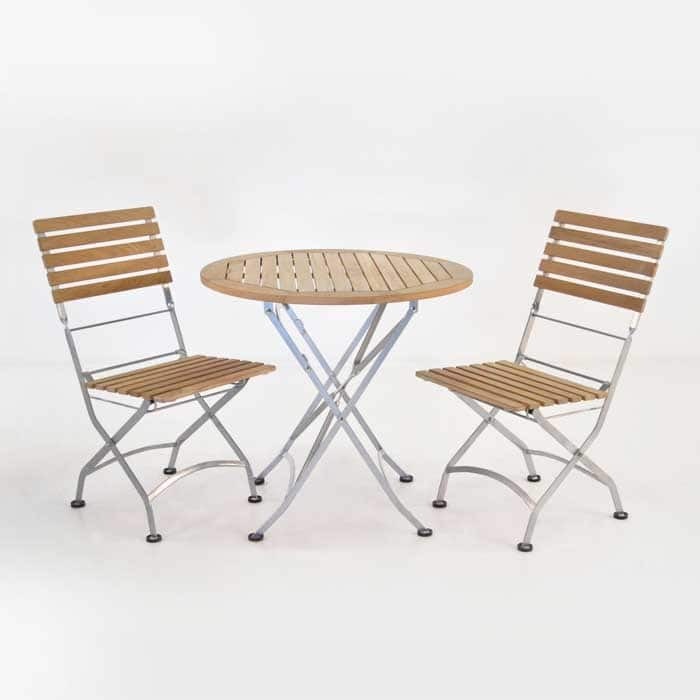 We think the idea of enjoying your outdoor space is so wonderful, regardless of if it’s eclectic or If it’s stylish and well groomed. 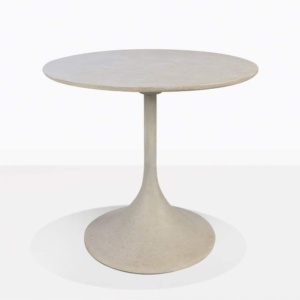 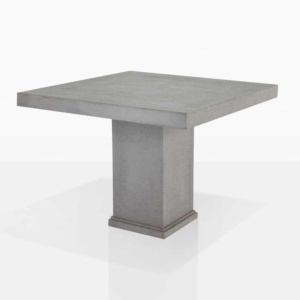 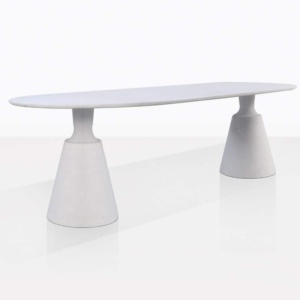 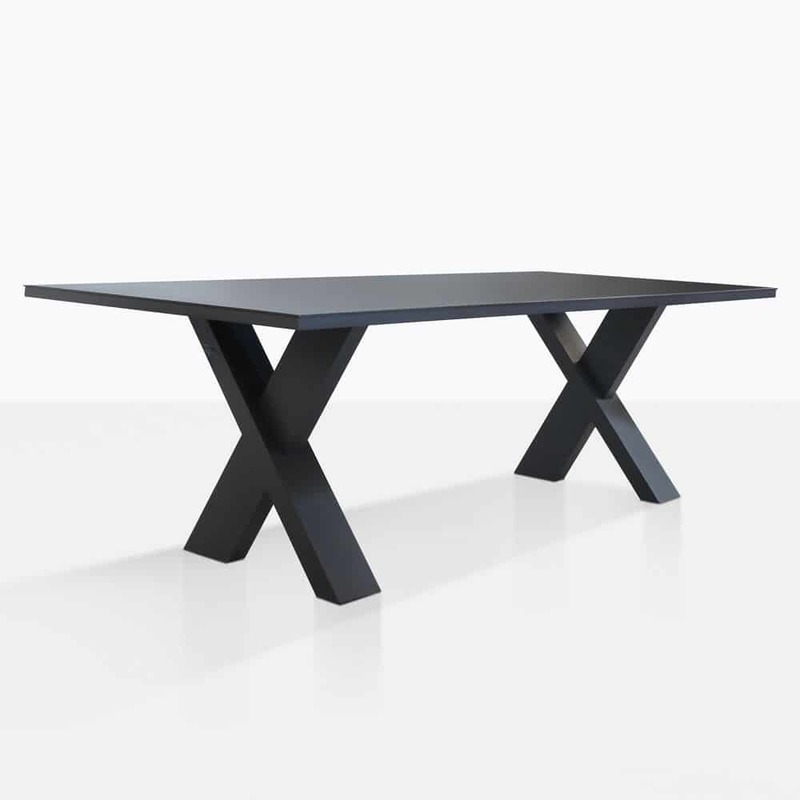 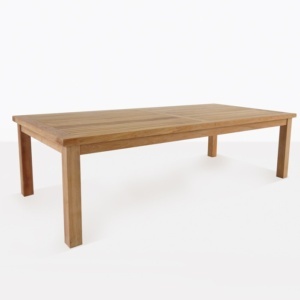 We offer a wide variety of gorgeous dining tables to give you plenty of options for your outdoor dining space. 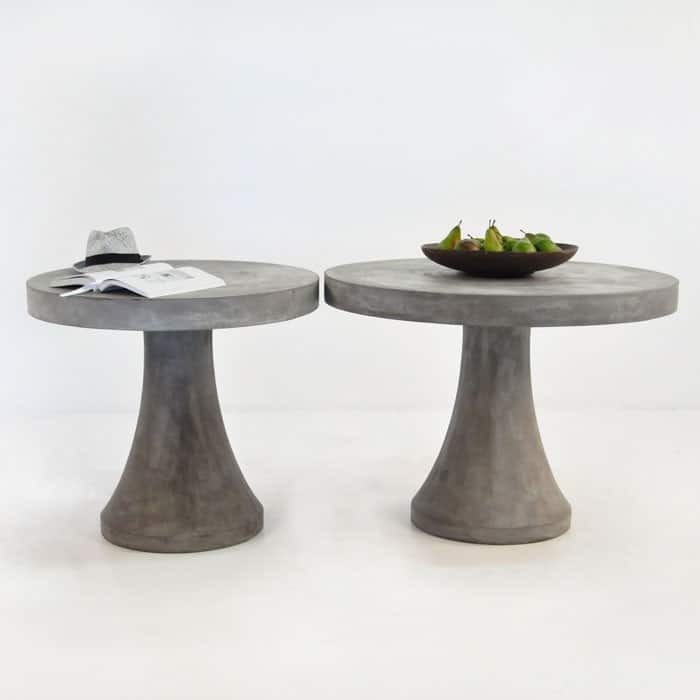 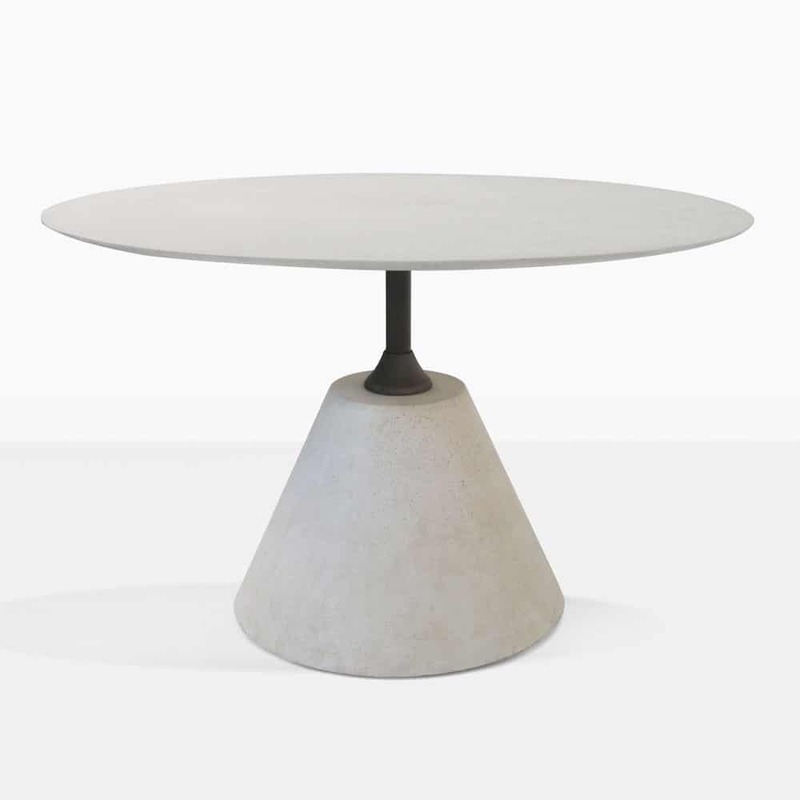 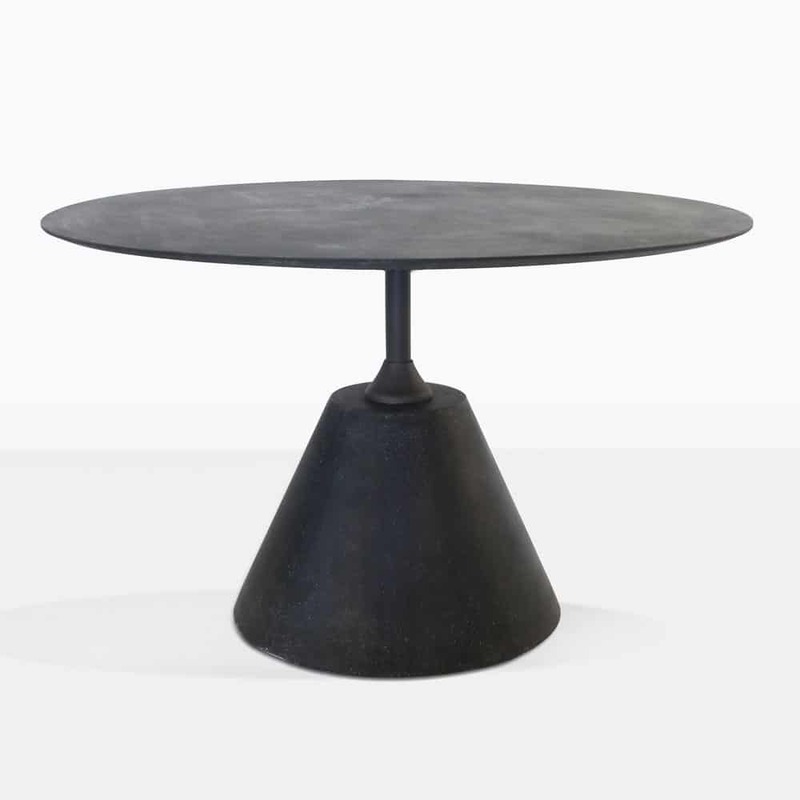 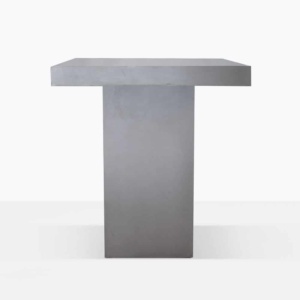 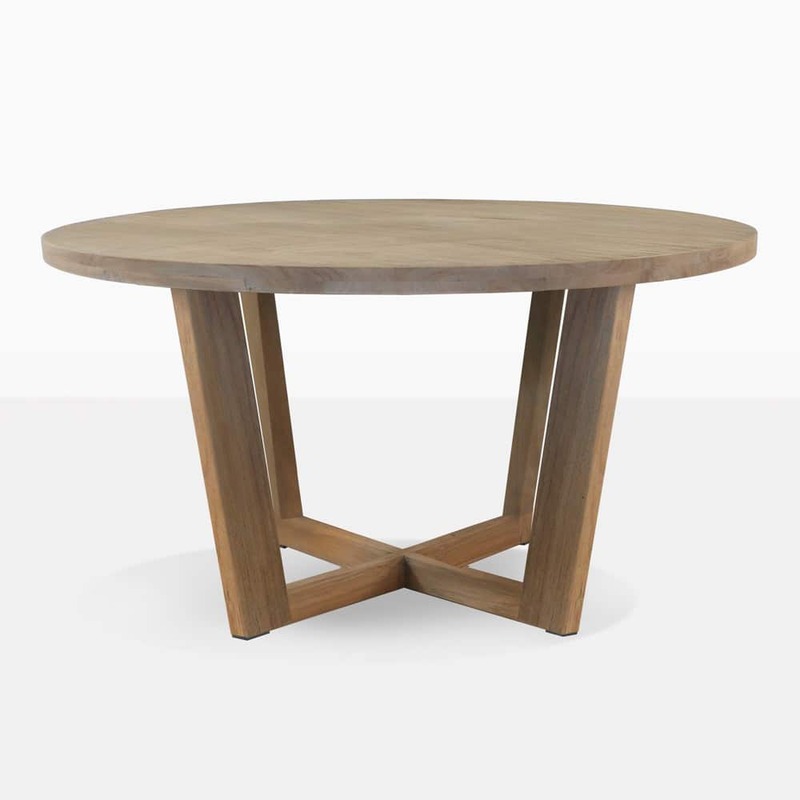 From the modern and linear styles to the round folding tables and everything in between, Design Warehouse offers the highest quality tables made to last in the outdoors and designed for beauty longevity, utility and real world use. 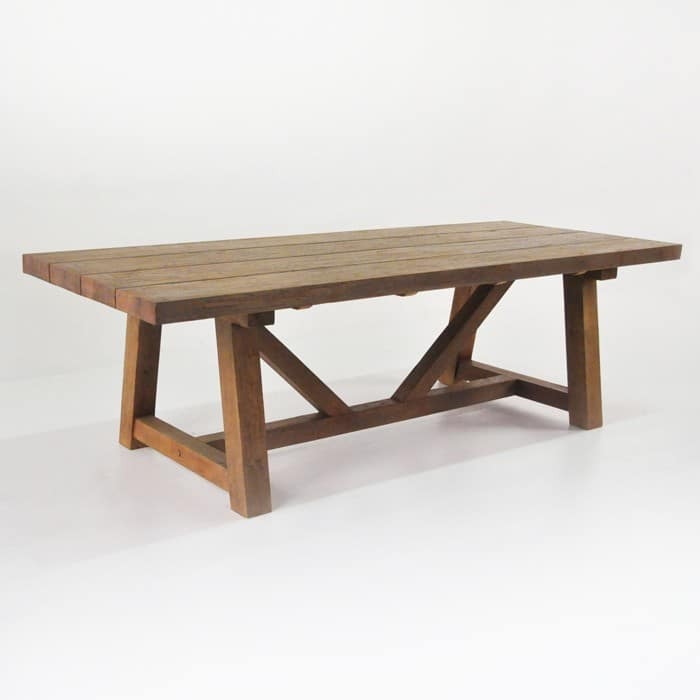 Often it’s our customer’s delight when their family or friends deliver a compliment about their beautiful new outdoor dining table. 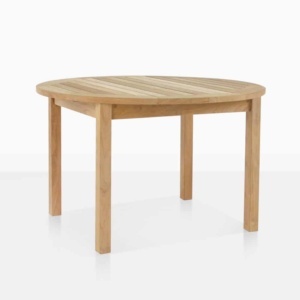 There’s just something about the mix of form and function, food and friends that really comes together around the table when you’re eating outdoors. 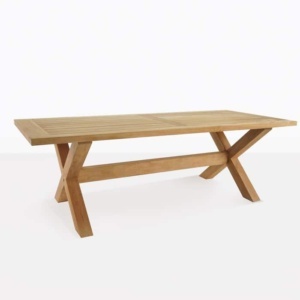 Find a special outdoor dining table by looking through our substantial offerings and see what it’s like to experience what may of our current customer find so enjoyable. 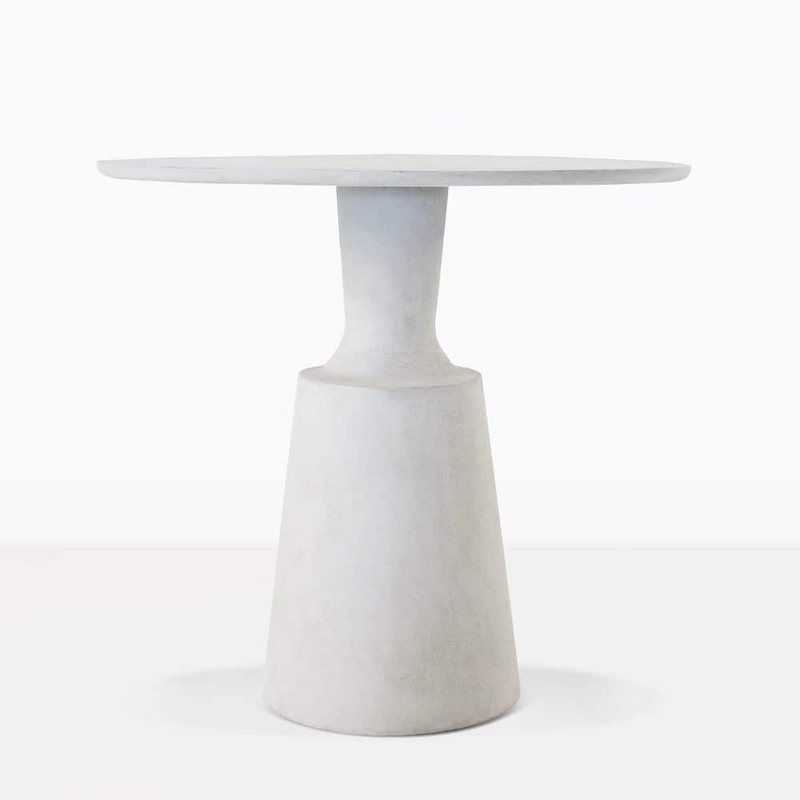 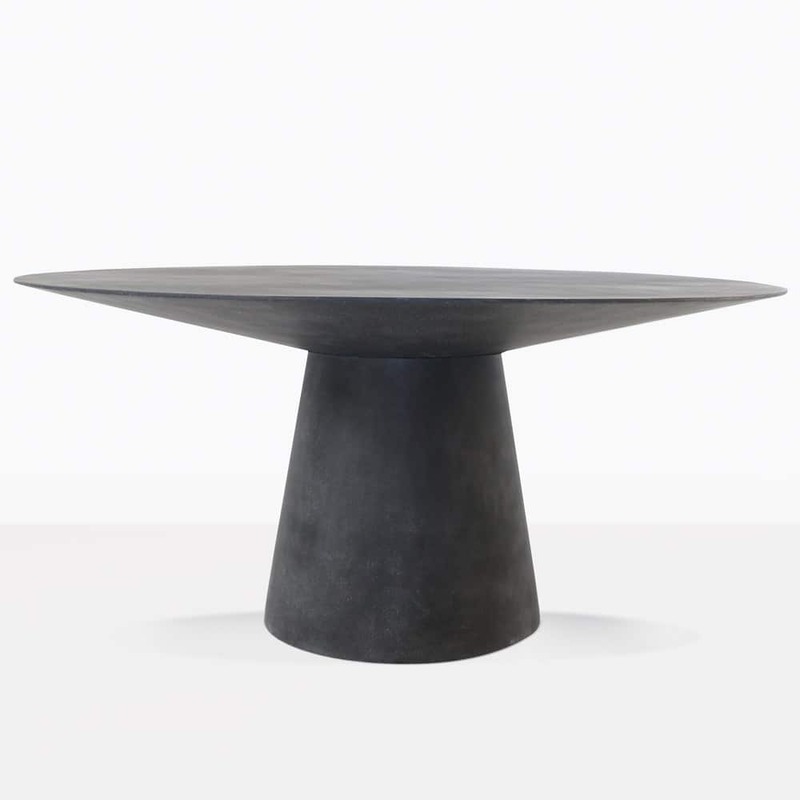 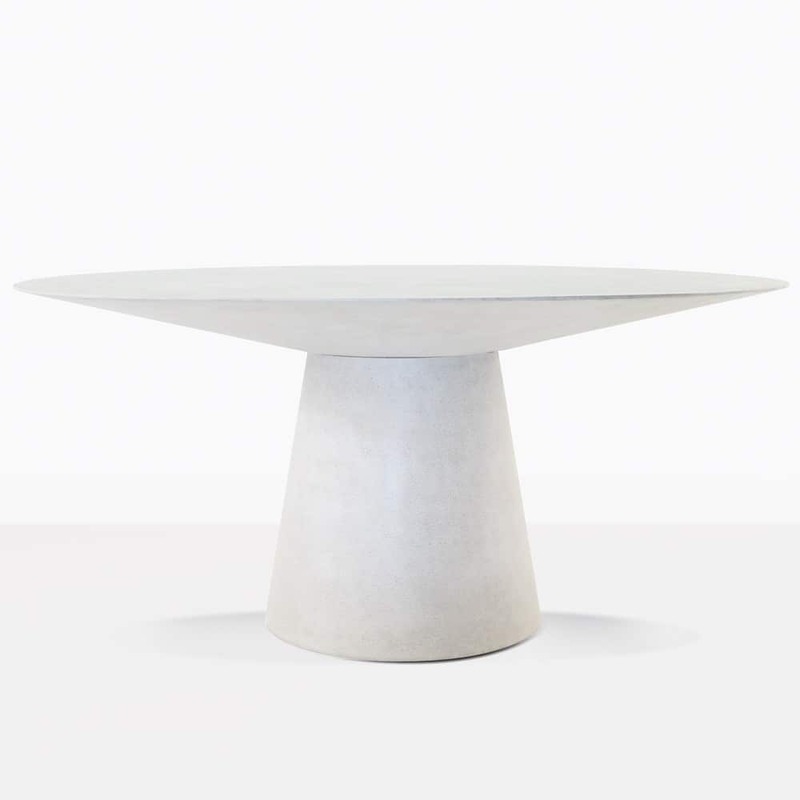 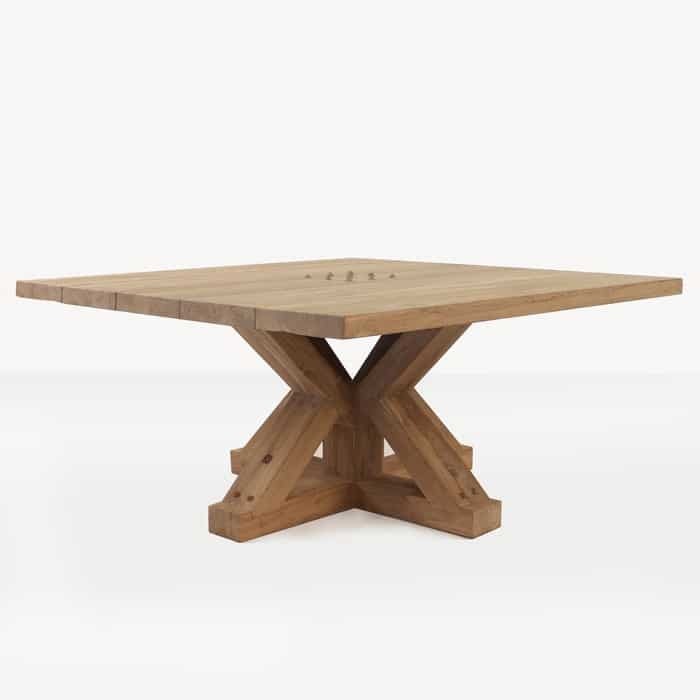 It might just be a cup of coffee in the morning just at sunrise or a formal occasion with 12 of your closest friends around a beautifully appointed table full of food, whatever your reasons for wanting a garden dining table or a larger outdoor dining table, we have the perfect match for you. 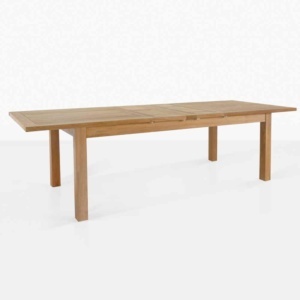 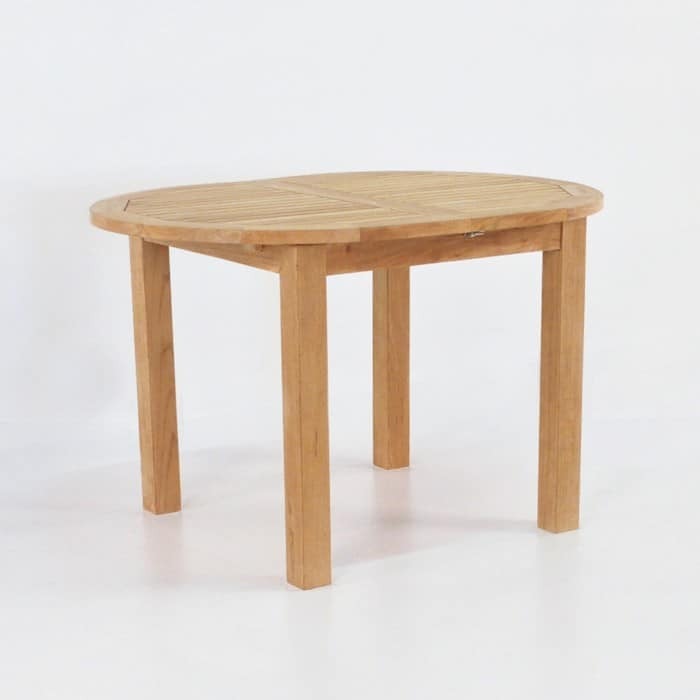 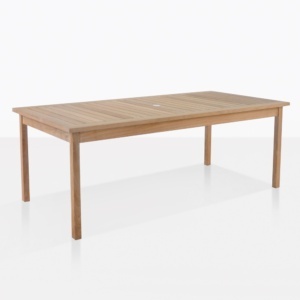 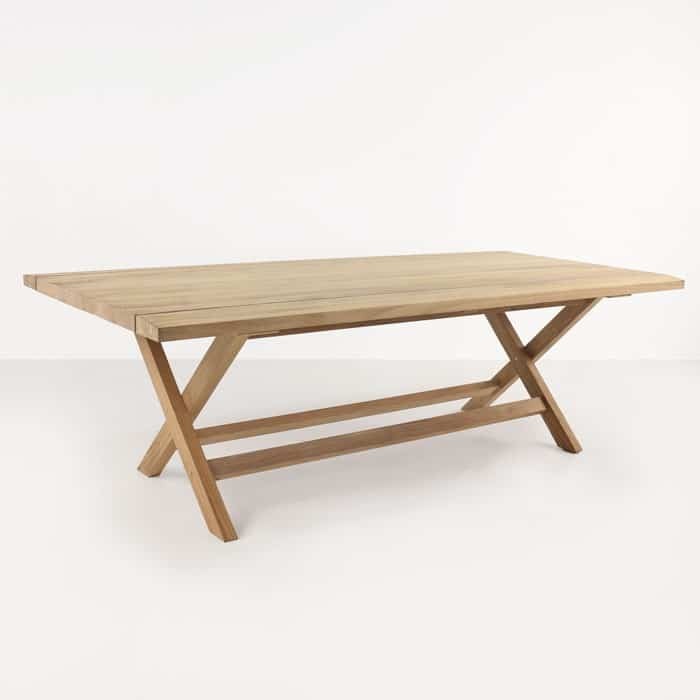 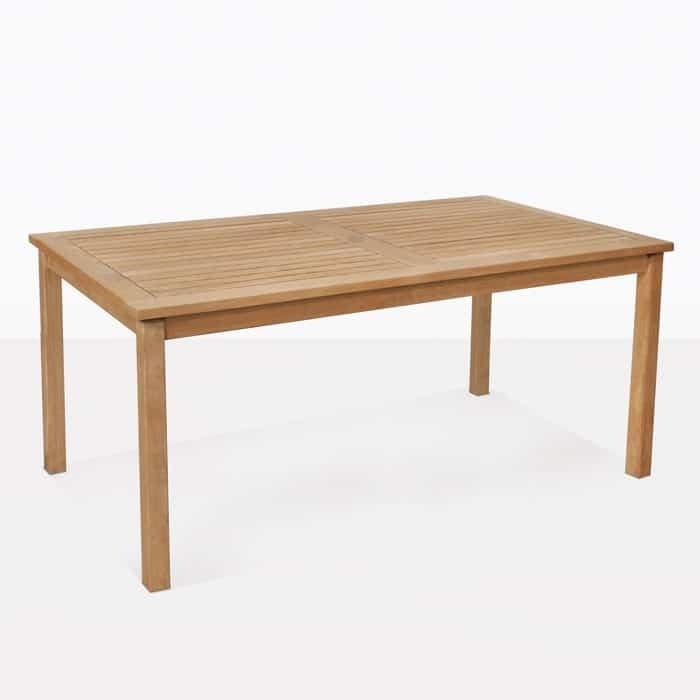 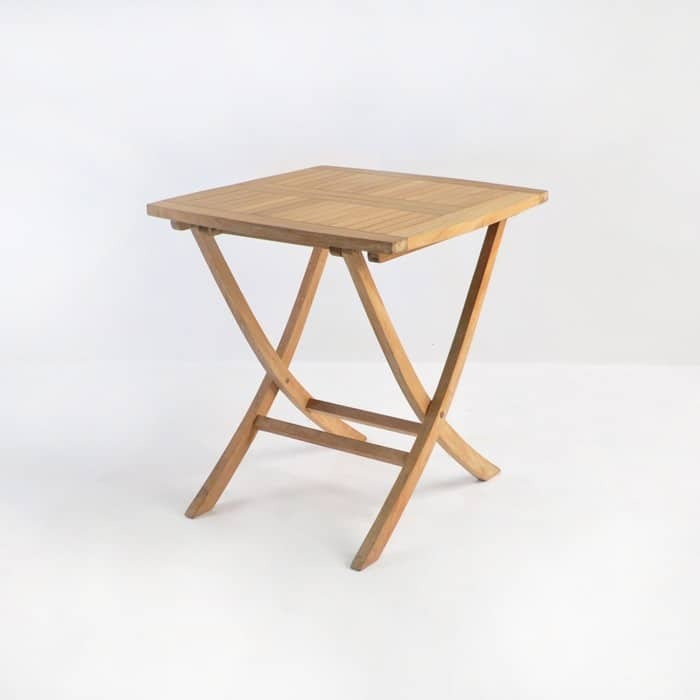 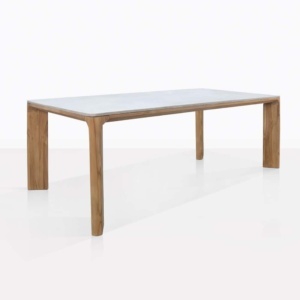 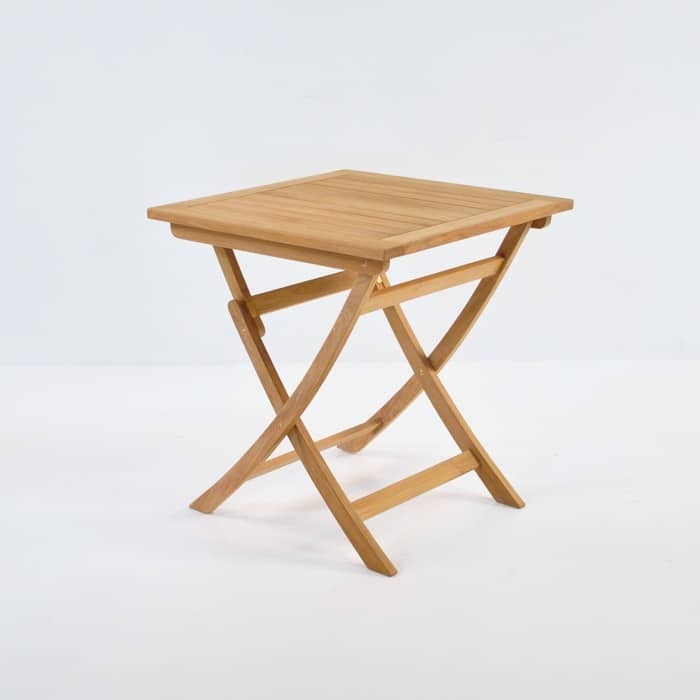 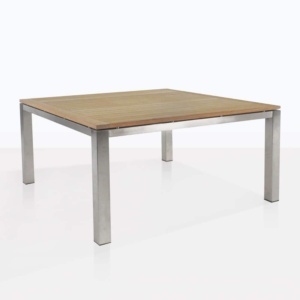 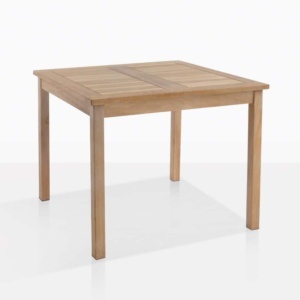 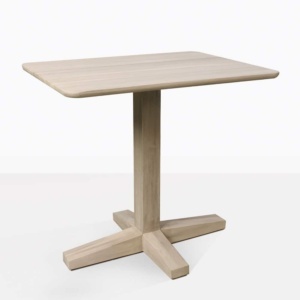 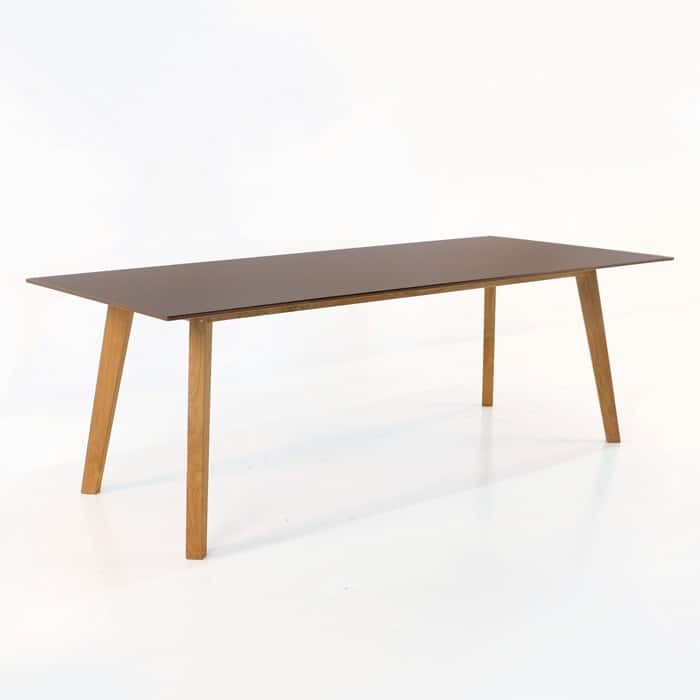 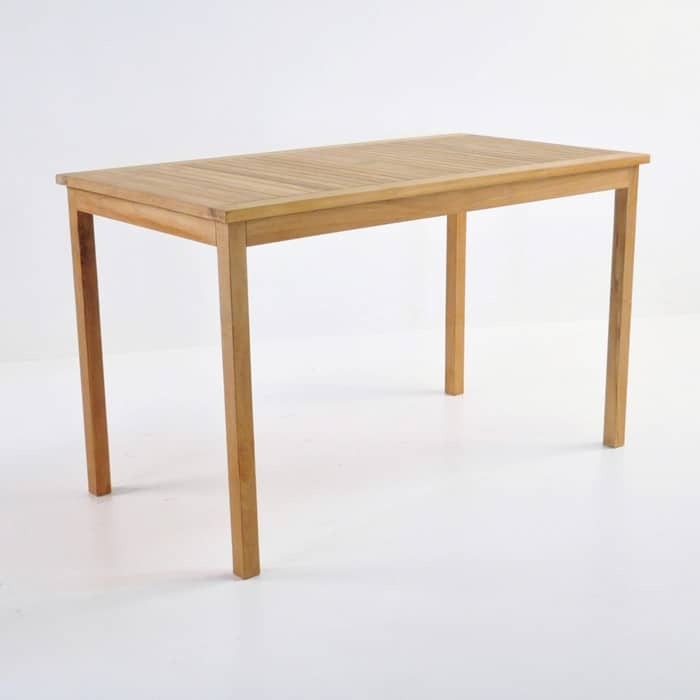 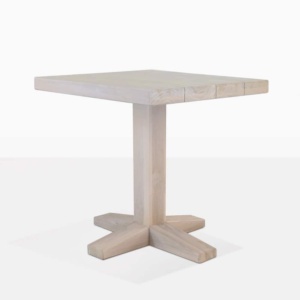 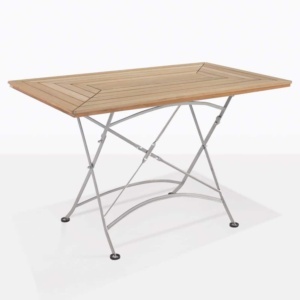 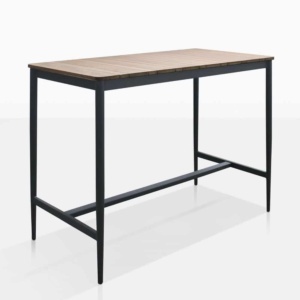 From extension tables and double extension tables which offer the ultimate in utility for those who like to entertain to folding tables for unexpected guests, we have the best selection of beautiful teak dining tables. 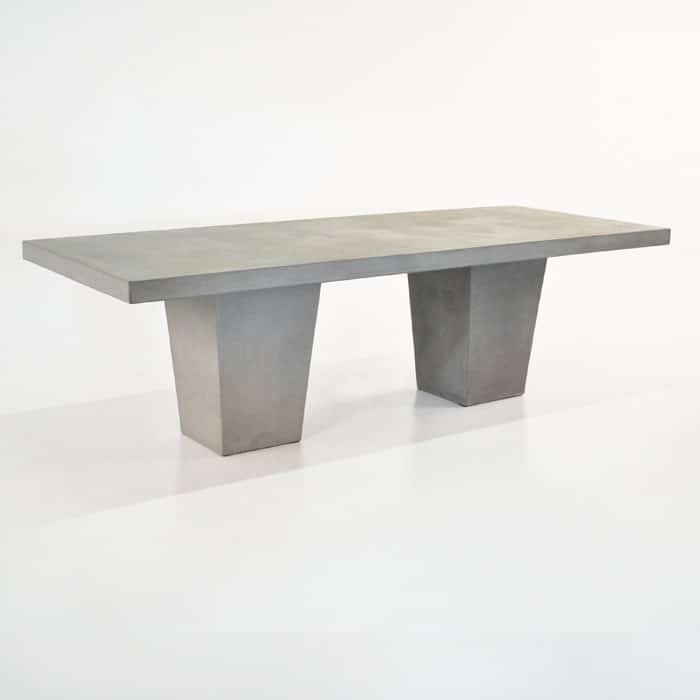 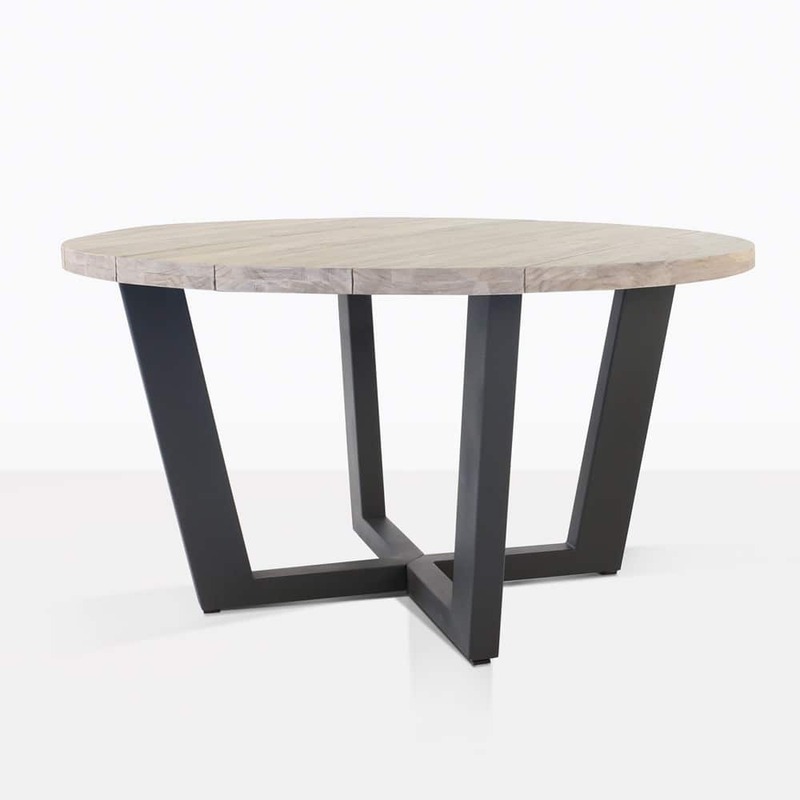 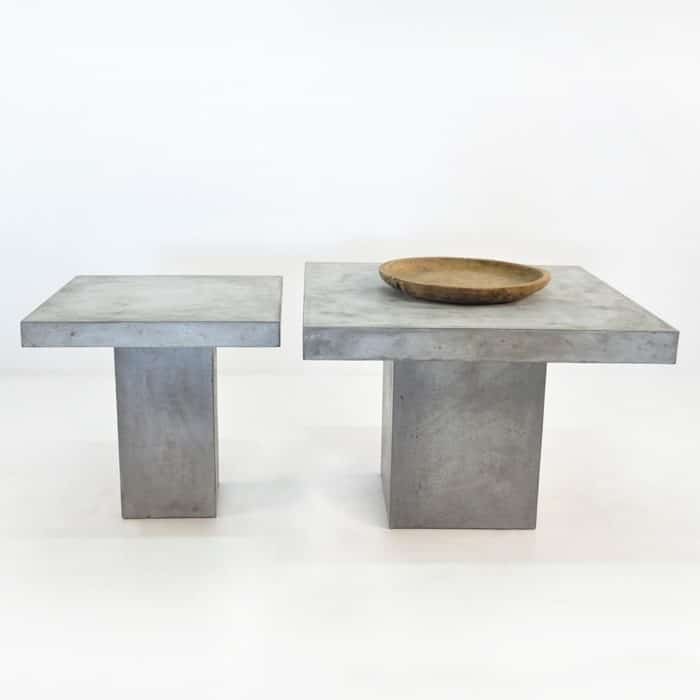 You might consider one of our beautiful mashups with stainless steel and teak, or a reclaimed teak dining table, a trestle table or concrete dining table as well. 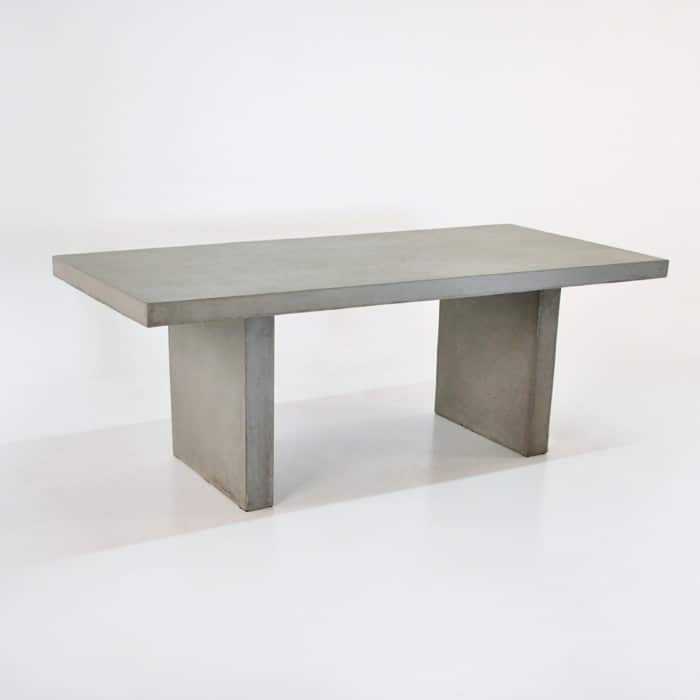 The different materials have more than beauty in common: each is chosen for its durability and clean good looks as well as their ability to last in any conditions to be a legacy piece of furniture. 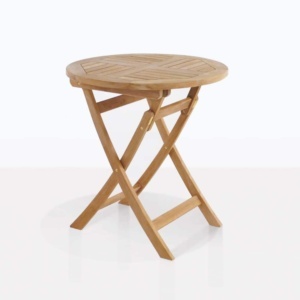 After all, outdoor dining is about creating memories. 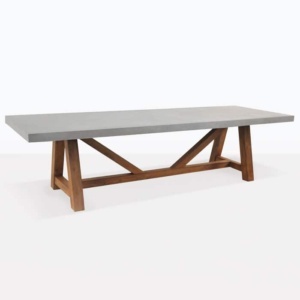 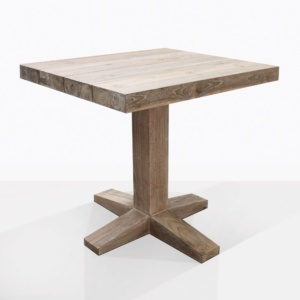 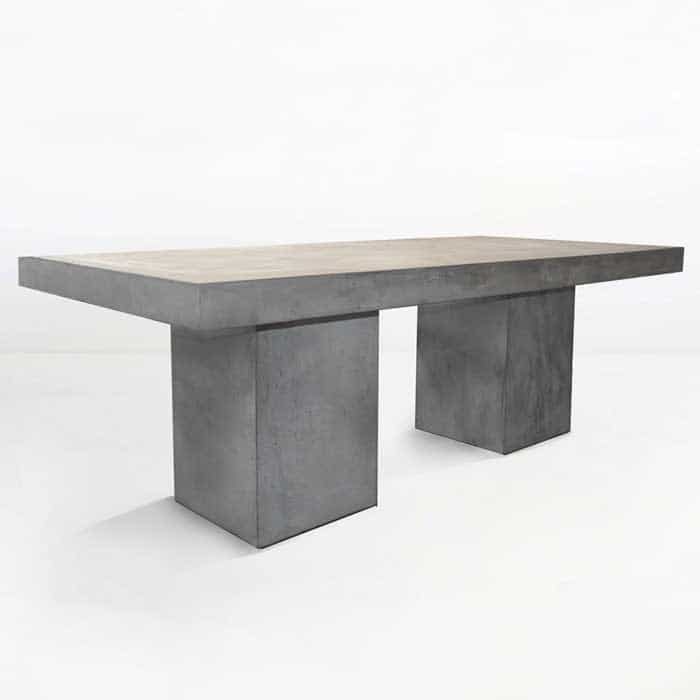 Consider a concrete and reclaimed teak wood table with a trestle style support structure or gorgeous A-Grade teak X-leg tables for a fresh look in your outdoor area. 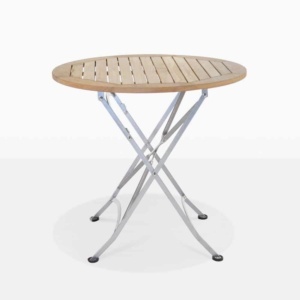 Many of our tables have a hole installed for easy inclusion of an umbrella for tables that need shade or which sit under a tree. 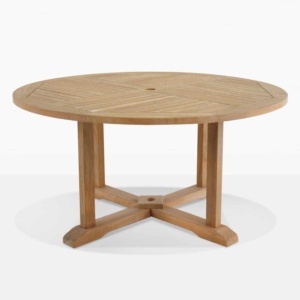 There are myriad choices in size, style, shape (from oval to square to rectangular to round and octagonal, etc. 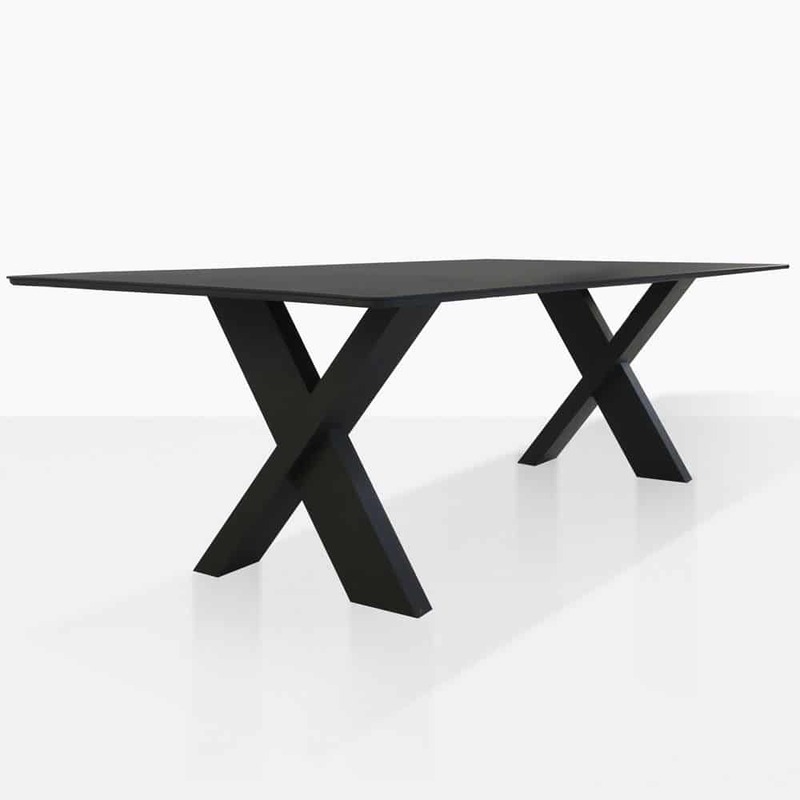 ), but we’re confident once you see the one you want, you’ll fall in love. 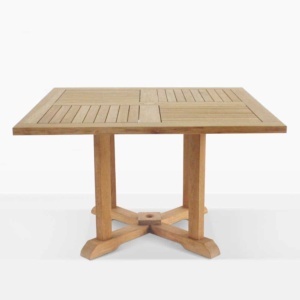 We’ve got the traditional style teak tables you might be familiar with. 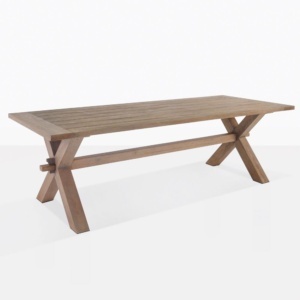 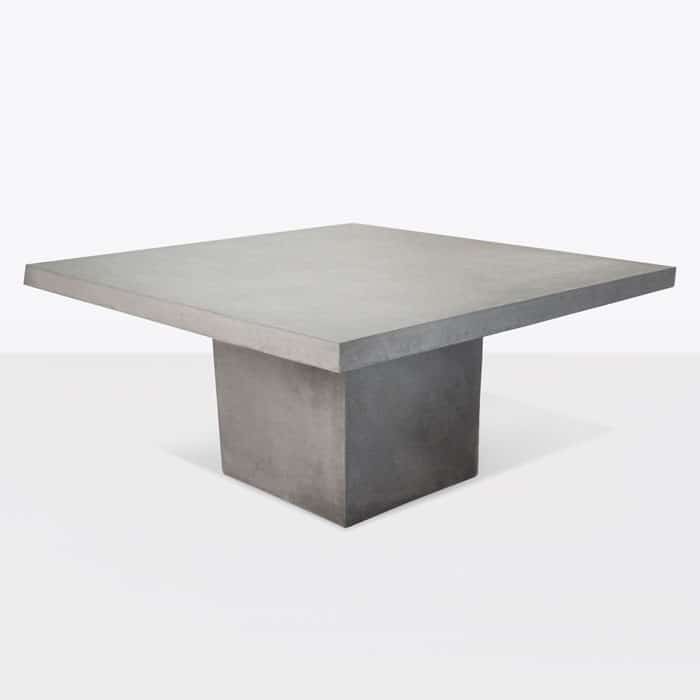 In fact, we provide many five star resorts and famous hotels in New Zealand and around the world with long-lasting interesting and versatile outdoor dining tables. 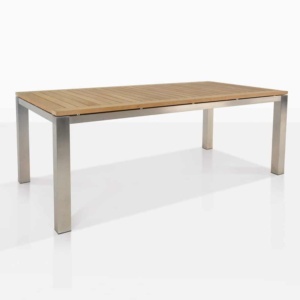 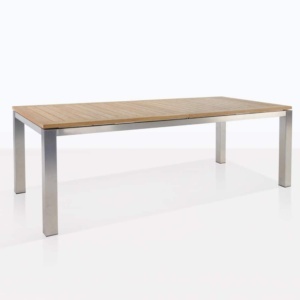 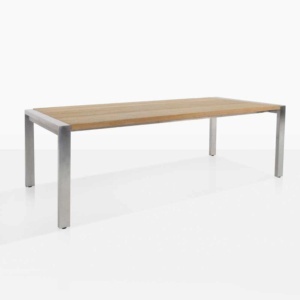 We’ve also got some very special styles that we are confident no one in the industry can offer, like our spectacular stainless Steel and Teak Plank style table with some of the most gorgeous and hard to find teak planking to be found anywhere in the world. 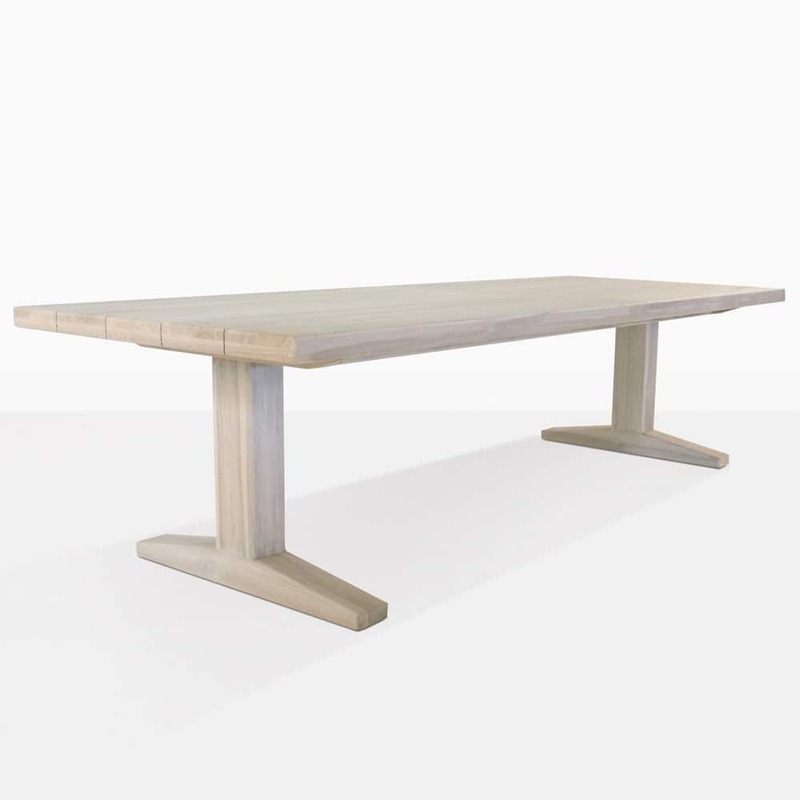 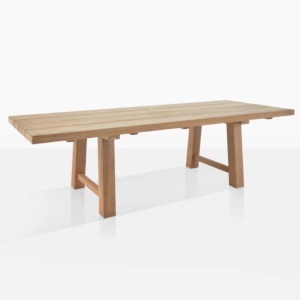 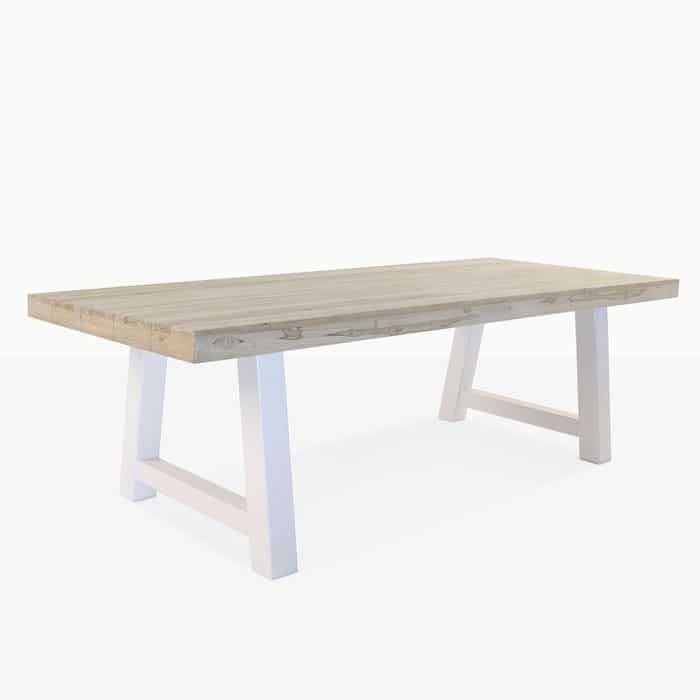 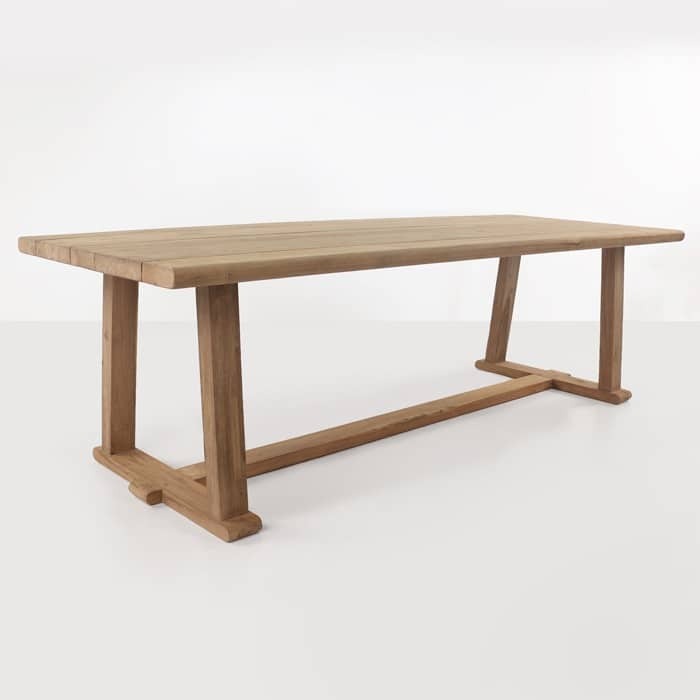 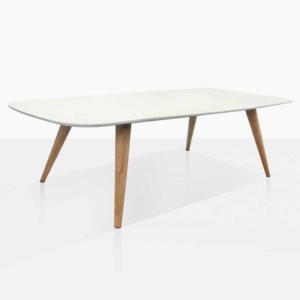 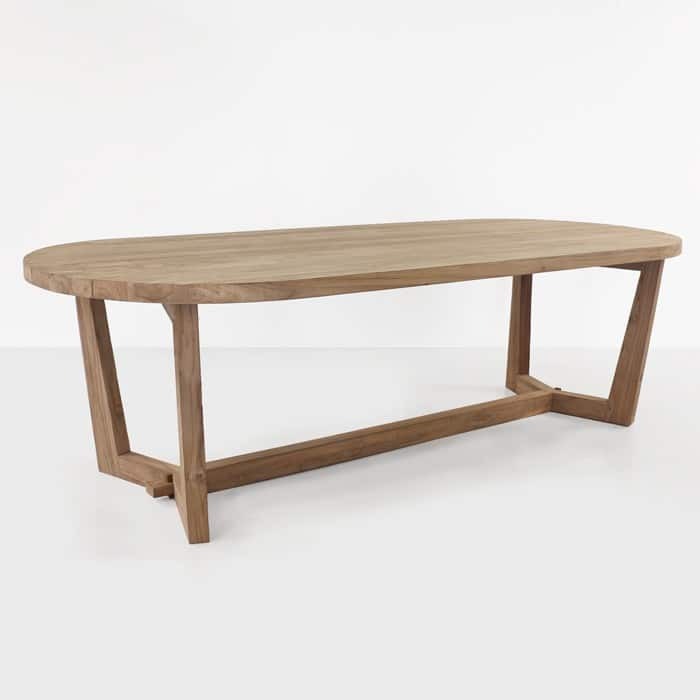 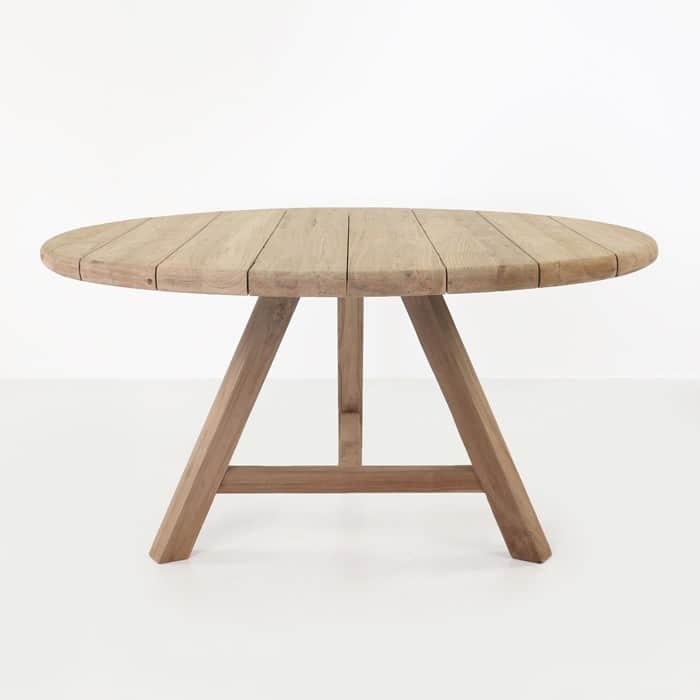 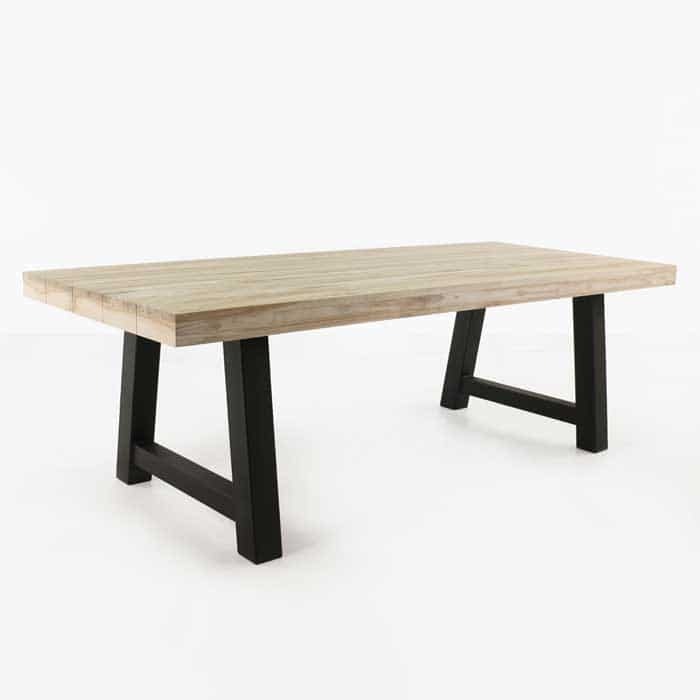 So whether you want a traditional teak table for lunches with family, a striking plank style table sure to create envy amongst your business associates and fellow wine connoisseurs or something a bit more delicate looking, we’ve got the perfect option. 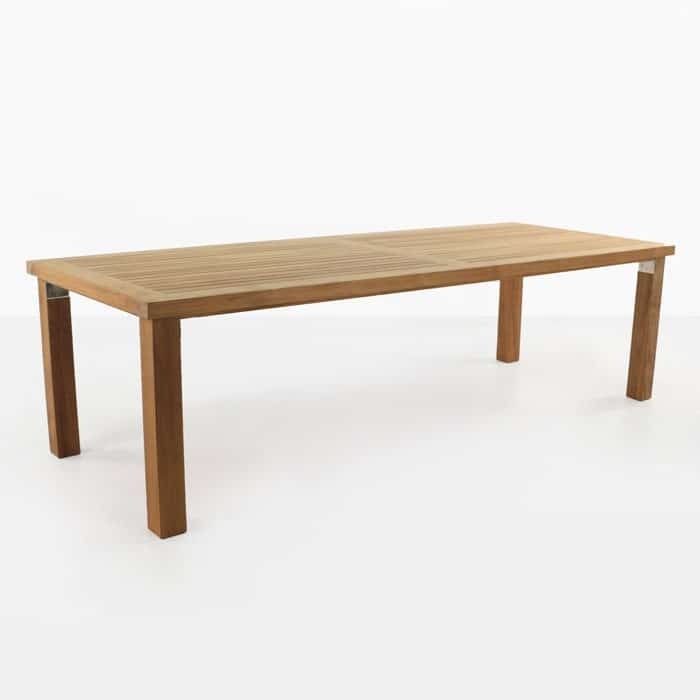 All of our outdoor dining tables are assembled in house so you don’t have to do the work when they are delivered with white glove handling to your door ready to use. 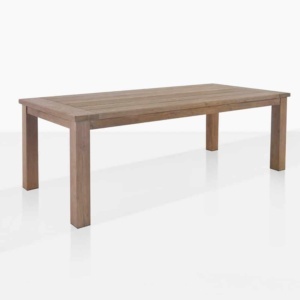 We deliver furniture that looks exactly as beautiful after the purchase as it does in our showcase and online. 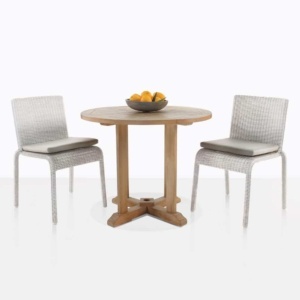 If you want a special outdoor dining experience, Design Warehouse is an excellent place to begin your search.